Is Apple about to surprise us with a new MacBook Pro? New MacBook Pro benchmarks have surfaced online ahead of a possible refresh at WWDC later today. The new machine, which features a six-core Intel Coffee Lake processor, outperforms every other MacBook on Geekbench. We aren’t expecting a great deal of new hardware from WWDC. We’ll probably have to wait until the fall for a new iPhone SE, a new iPad Pro, and a new Apple Watch. But the MacBook lineup is overdue a refresh, and it’s the perfect time to announce one. Today’s MacBook Pro family is fast, but it could be a lot faster. Intel’s latest Coffee Lake chips have been out for some time now, and it’s about time Apple adopted them. According to one Geekbench entry, the wait could soon be over. A “MacBookPro14,3” surfaced in the Geekbench database over the weekend. It’s powered by an Intel Core i7-8750H processor, which has a base clock speed of 2.21GHz and can boost to 4.1GHz. What’s most exciting about this chip is that it boasts six cores. This would make it the first six-core chip to grace the MacBook Pro lineup. Even the most expensive model in today’s family has a quad-core CPU. And the improvement in performance is reflected in benchmark tests. The machine tested on Geekbench achieved a score of 4,902 in single-core tests and a staggering 22,316 in multi-core tests. That makes it the fastest MacBook to appear on Geekbench so far, with the closest competition scoring 16,999 in multi-core tests. 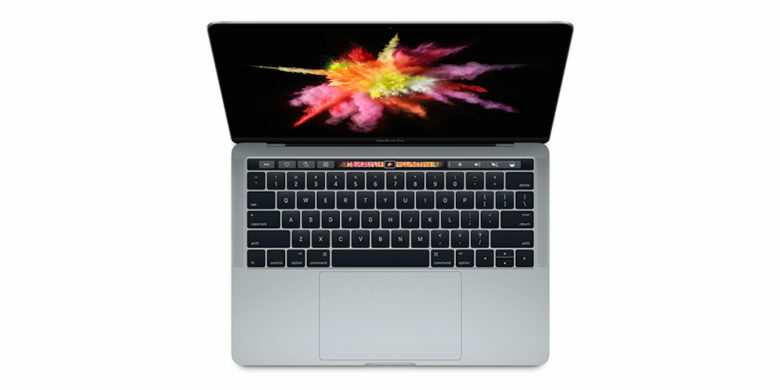 This particular machine is also listed with 32GB of RAM, twice as much as the 16GB limit of 2017 MacBook Pro models, which will be welcome news to MacBook Pro buyers who need plenty of performance on the go. These benchmarks don’t confirm anything, of course. There’s a chance they may even be fake. But with a MacBook Pro refresh expected sooner rather than later, and a WWDC keynote right around the corner, it’s hard to avoid a little excitement.